Although so many people have finished holidays at the end of August, this doesn’t mean that they can only go into reclusion at their homes. They can also look for activities for weekends in September and get to know better nearby zones where we live. September is also a great month for continuing with family activities. The weather is good, there are not too many agglomerations and we have weekends to fill with activities. Probably a lot of you will be in a saving mode after paying planes, food, hotels, etc., so in order to recover a little, the best we can do is to keep close to home at a place where we can arrive without doing a lot of kilometres by car or where we can go by public transport. And, we are sure that after going through the most exotic places, for example, of our city, Barcelona, you’ll be surprised about a lot of details of its history, architecture or gastronomy. 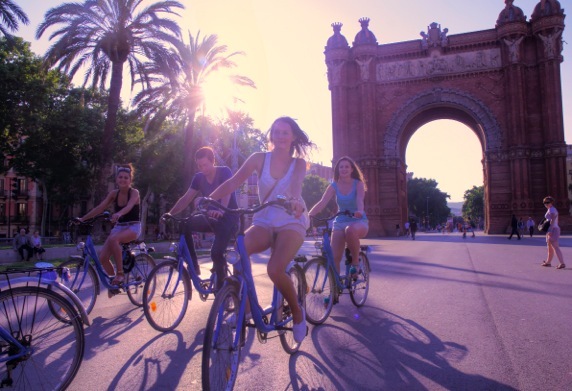 So, upon returning from your holidays, don’t stay at home look for new corners to discover and get around on bicycle, the best therapy for post-holiday depression, for your pocket and to get fit again after this well-deserved month of relaxation.